It is well known that for those with memory loss, reminiscing about younger times can be a therapeutic experience—whether it be with family or friends. This can also be the case for many people who are part of the wider community. Remembering different times, experiences, foods and items can be a really enjoyable process. You can even expand on this by sharing it with your family, your grandchildren, your carer, your partner or your neighbour, and you can while away the hours whilst remembering events of the past. We hope that the variety of content in this section offers something for everyone. We have focused on four key elements: people, places, things and food. Included within these elements are memories from the Jewish East End of London and celebrities with Jewish heritage. There is a picture that is accompanied by a description of the image along with more detailed information about the picture, its history or the career of the person. This may also contain information about the era associated with the image. Some images are accompanied by links to songs or videos that can enhance the reminiscence experience. These are clearly labelled. Lastly, we have created a section called "sparks". These are questions, quotes, facts or anecdotes that aim to spark a memory, a conversation or a chance to share an experience with those close to you. Although related to the subject, the questions are quite diverse and can be shared with someone of any age—from nine to 90 and beyond. Take a little time with family or friends to reminisce and enjoy a whole lifetime of stories and precious moments, debate current affairs and controversy or just remember past chocolates and how they differed from modern offerings. We hope that this reminiscence and our sparks ignite a wonderful experience for you and those close to you. 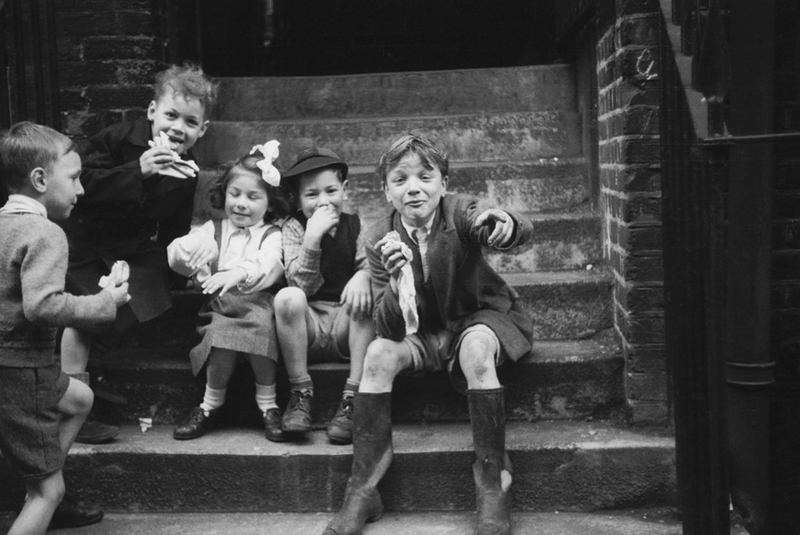 Now, let's take a look back on Jewish life in the UK.